The four sugars in the title to this post relates to the fact that Cardiff independent, Milk & Sugar, has recently expanded its empire to a fourth location (and not any predeliction on my part to loading up my tea with builder/diabetes type 2 inducing quantities of sugar, as I absolutely loath sugar in tea – other than mint or chai – even a grain of it) in the rather beautiful setting of Cardiff’s Old Library. It is always lovely to see an independent succeed. It is a cutthroat market out there on the high street with the buying power of the chains always making life difficult for independents, but to me independents are what gives a city it’s vibrancy. Who wants identikit city centres full of the same old, same old chains (invariably selling dross)? 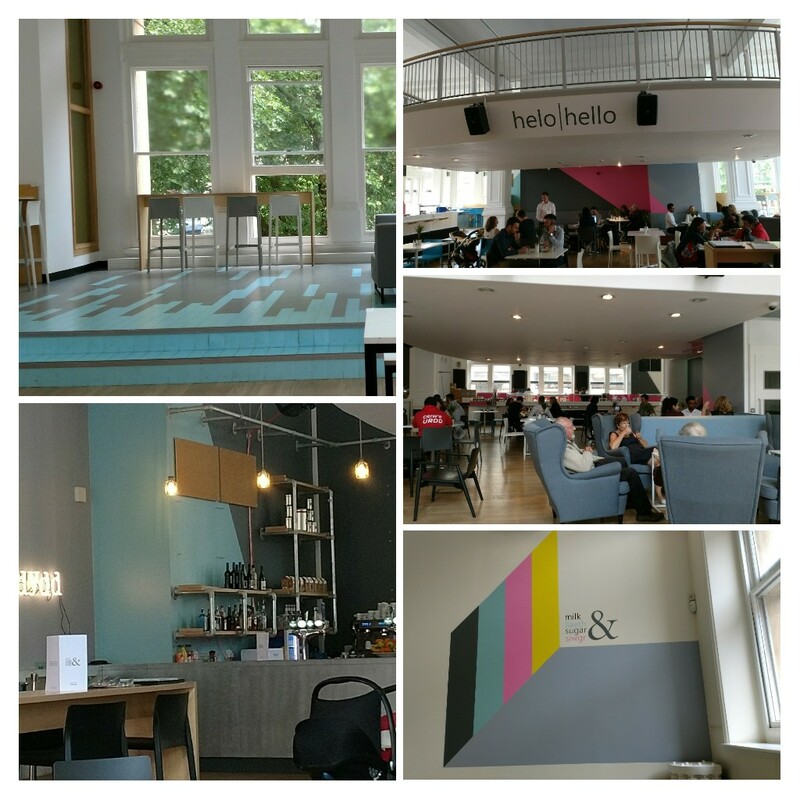 When I visited what previously was on the site, in the form of Amser Cafe Bar, a while back I quite liked it, but did think blimey this is a big old space. It is an interesting space, which remains quite utilitarian in terms of decor, with an open kitchen and plenty of light flooding in. No glitzy chandeliers or other trapping of the bling culture, which I quite like. Bar from these outside which are a bit blingy (in a nice way). 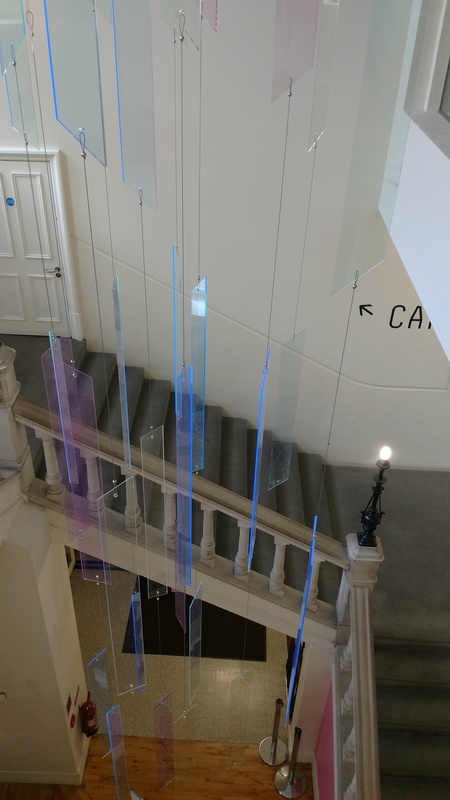 Milk & Sugar have given it their own personal touch, but have largely left it as it was in the form of a rather nice open and airy space (great venue for an event). It was quite busy on both my visits, but due to the space didn’t feel at all crowded. 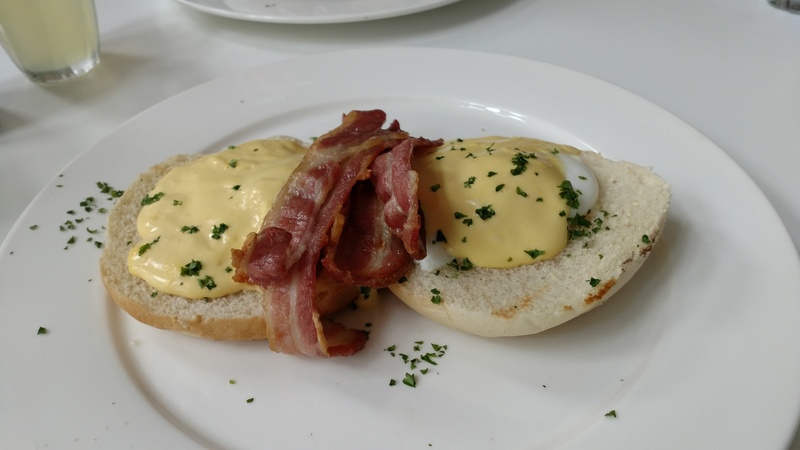 Whilst tempted by both the sarnies and salads on offer, I love a good eggs Benedict (loath a crap one). I tend to think a poached egg is a good test of a kitchen’s mettle. If they nail it then you know you are in good hand, but if they bugger it up it is time to close the book on the place. 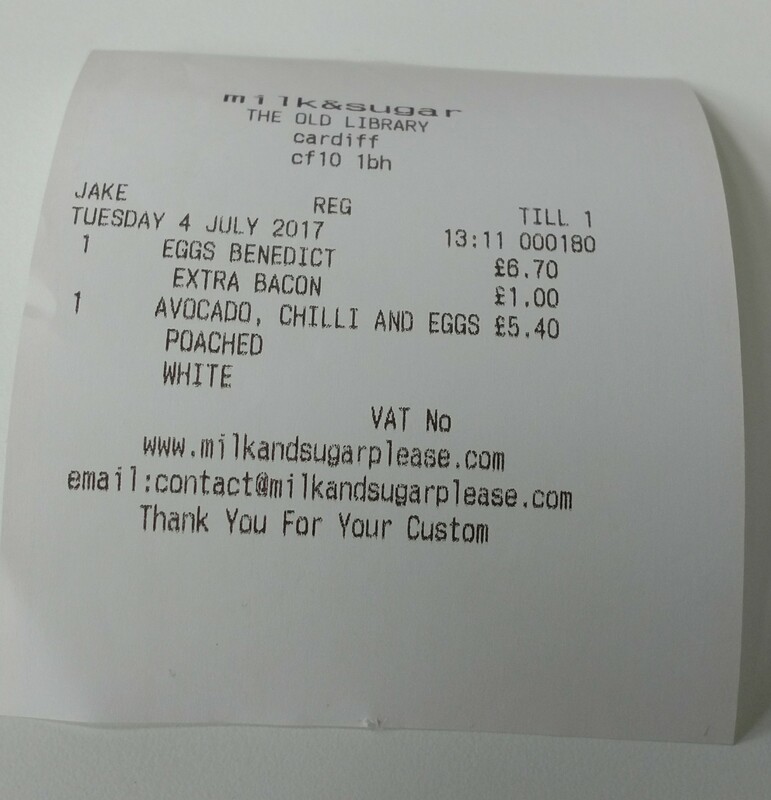 I ordered the eggs Benedict (£6.70) here in the firm expectation (on the basis of previous visits to other Milk & Sugar outlets in Cardiff) that it would be the former. Fact that it came with bacon (there is very little that bacon doesn’t make better) very much sealed the deal. 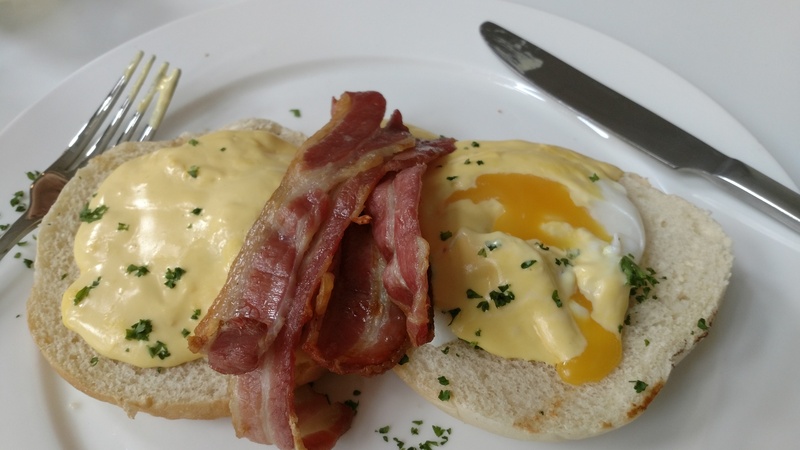 What I got here was very nice, with a good hollandaise (with just the right amount of acidity to balance the richness of the eggs and butter) covering perfectly cooked poached eggs. The merest tease from the cutlery elicited a gloriously (Hawaii style lavaesque ooze) golden eruption. A generous portion of very tasty oaked smoked bacon added nicely to the mix. My only slight qualm with the dish was the the reference on the menu to it coming on an “English muffin”. Based on shape and texture, what it came on looked and tasted very much like a bread roll to me as opposed to an English muffin. It also could have done with being toasted just a tad more. Notwithstanding this, I very much enjoyed this brunch classic. J, being on a diet due to having been on holiday – a week or so before our visit – bankrupting some poor saps running an all inclusive resort in Corfu, decided that at least the pretence of some greenery was required. 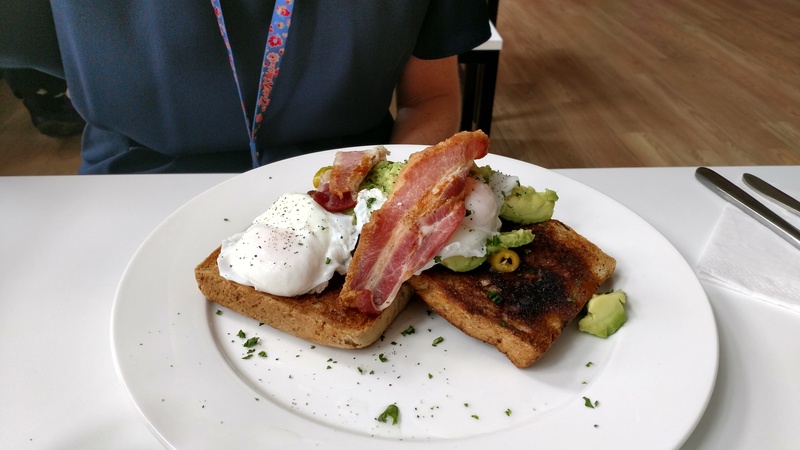 She, therefore went for the crushed (note “food vocab police” no use of smashed – is the tide turning) avocado, poached eggs and chilli on brown toast (£6.50). The healthy intent behind ordering this was somewhat dashed by the addition of a side of bacon (£1). J was very pleased with this dish. Nicely seasoned, properly ripe, avocado and perfectly poached eggs. She also commented that the liberal use of fresh (pickled) chilli, rather than dried flakes, was a welcome touch. Daily specials are also on offer, but on the day of our visit none were available (we went on only their second day of opening, so assume they were wisely easing themselves into things). On a second (solo) visit, a nice sounding selection of Specials were on offer (which change weekly). 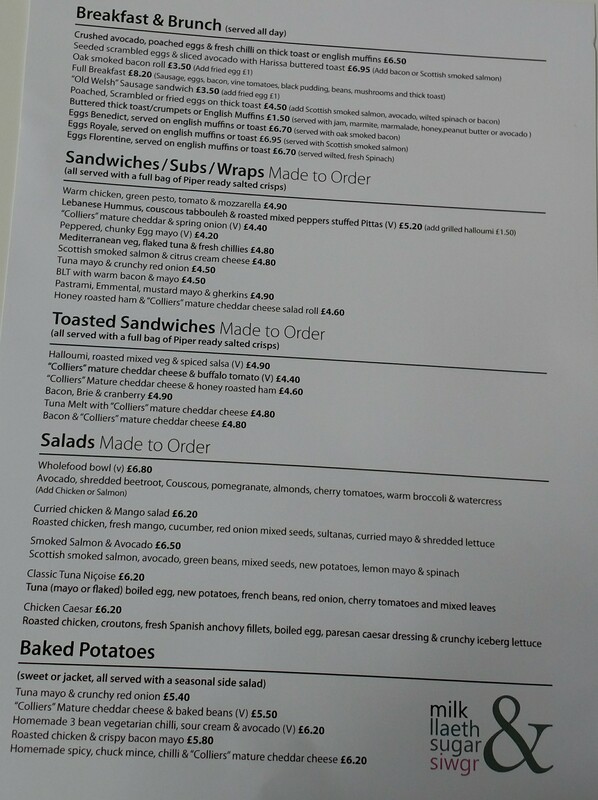 No prices on the Specials list I got given, which was a pain, and when I asked I was told they were generally around the £7.50 mark. Assume/hope not for the soup! Somewhat in the dark as to pricing, I decided I still wanted something off the Specials list. 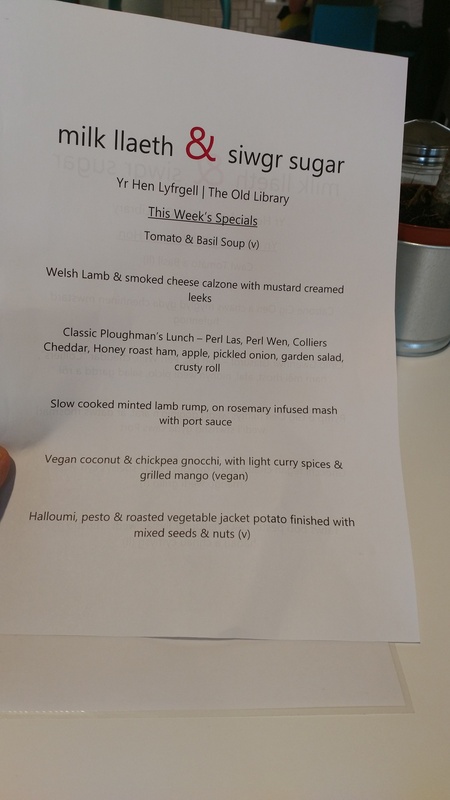 Whilst sorely tempted by the classic ploughman’s (as it happened it was off the menu), I am a sucker for Welsh lamb (which can validly lay claim to being the best in the World) and the Specials list offered not one but two rather enticing lamb based choices. 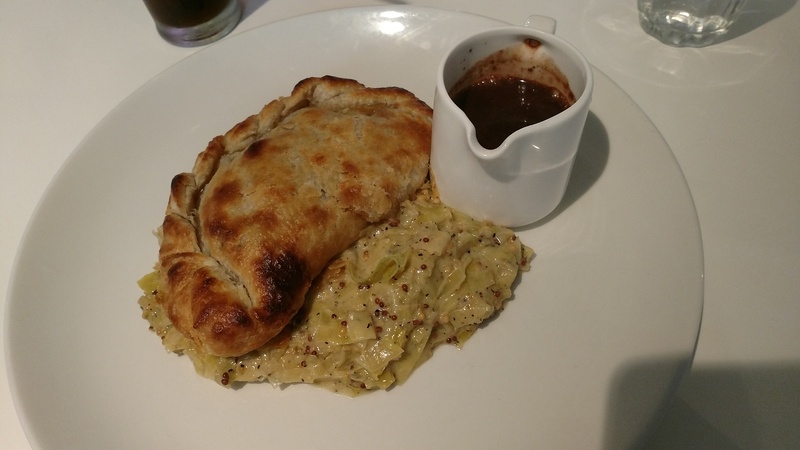 After much indecision, I decided on the double Welshness of Welsh lamb and mustard creamed leeks of the “calzone” dish. What arrived was not much of a looker and not what I would regard as a traditional calzone (the definition does seem quite fluid mind). Nonetheless it was rather nice. 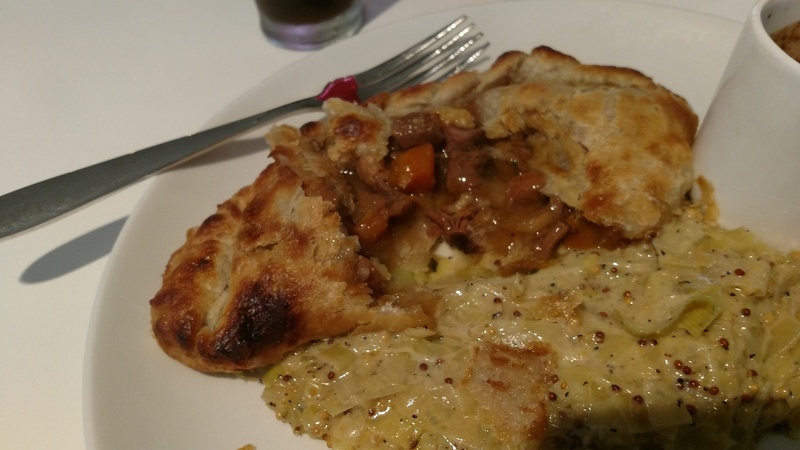 More like an oggie based on the make up of the casing (more pasty pastry than pizza dough) and the filling (chunks of lamb, veggies and gravy), the extra pot of gravy on the side moved it further from what I would regard as a calzone and towards oggie territory. Notwithstanding my internal “was it or wasn’t it a calzone” debate (I would say not), the lamb was beautifully tender and well flavoured sitting in a luscious and equally well flavoured gravy (more of which I liberally added via the extra pot of the stuff – I even drank a bit of it from the pot which I am ever so slightly ashamed about). The casing was very nice, but definitely more pastry than pizza dough (to my mind). If the “advertised on the menu” smoked cheese (usually a very pronounced flavour) was present it was very subtle as I couldn’t discern any at all (I did have a bit of a cold, but could taste the lamb and gravy well enough). This didn’t detract from the dish and I actually think its absence/my inability to detect it probably resulted in a better balanced end product. A very nice dish was finished off by a generous mound of lovely creamy leeks, with a “properly good” hit of grain mustard. On the drinks front it is nice to see a selection of both soft and hot drinks at reasonable prices. A can of soda (coke etc.) for a £1 is much more like it than the outrageous £3 charged by the Seafood Shack just up the road. 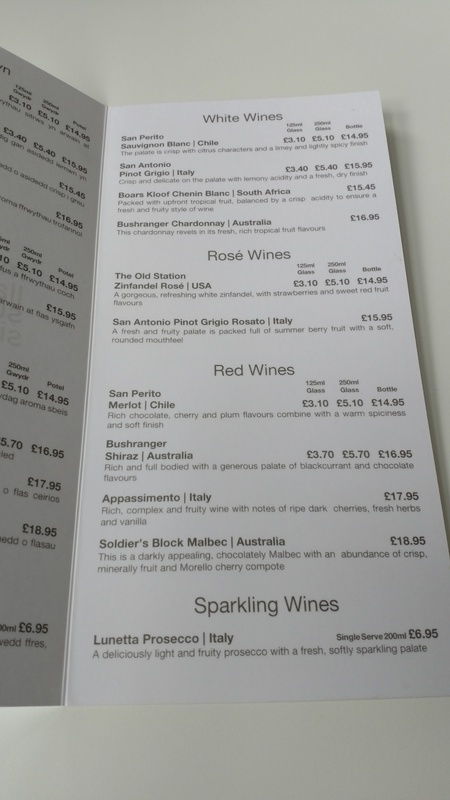 Booze is also available and the short wine list is priced reasonable, with the most expensive bottle (Soldier’s Block Malbec – retails at around £8.50) being under £19. The Appassimento is a interesting inclusion on what is short list, as it is usually a term used to describe a process (involving drying the grapes which in theory should concentrate the flavour of the end product wine) in wine making rather than a wine itself. Curious as to what wine this actually is? Bearing in mind the Welsh connection, it is perhaps a bit of a shame that the list doesn’t contain even one Welsh wine. I suspect the reason is that the likely price would put it well out of kilter with the rest of the list. Didn’t see what beers are on offer, but suspect more Welsh (i.e. some) stuff than on the wine front. and I had a large Americano (£2.70). This was a nice strength and came with the unexpected bonus of a rather pleasant mini Welsh cake. I was rather boring on my second visit and had a £1 coke. The Old Library building does seem to have a touch of the “cursed earth” about it, with both Amser and Locke & Remedy (both of which I rather liked) failing to get the necessary traction to make their respective ventures work. Before that various other operators (some of more dubious quality than others) have fallen by the wayside on the site. Can’t really understand why this is the case as the location is pretty darn good, right in the centre of things. 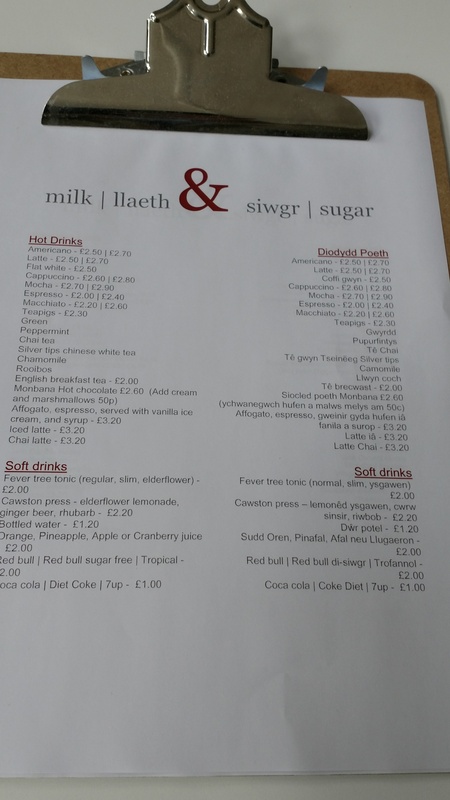 I really hope that Milk & Sugar/ Lleath & Swigr bucks the trend and if anyone can break the curse it is Tim Corrigan (the brains and elbow grease behind Milk & Sugar). 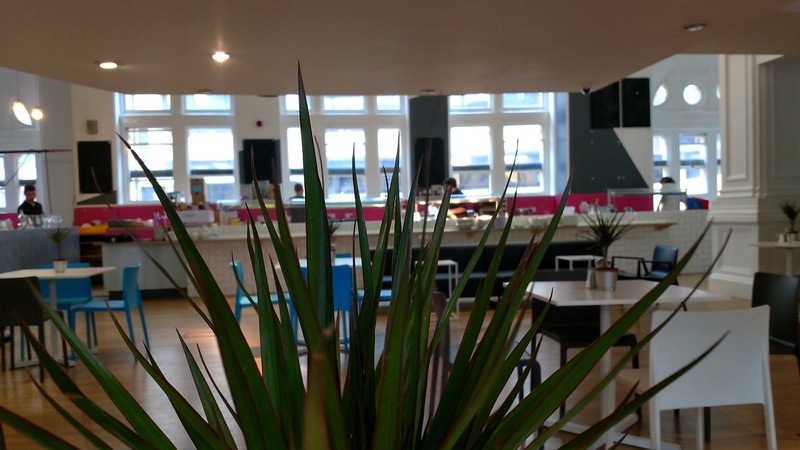 The food is good and I like the space. On the basis of what they are offering I see no reason why it shouldn’t succeed. Even taking into account the price of the drinks and adding a tip I thought it was good value for the quality and quantity of what we got. On our second visit (when I had one of the specials) it was pricier. 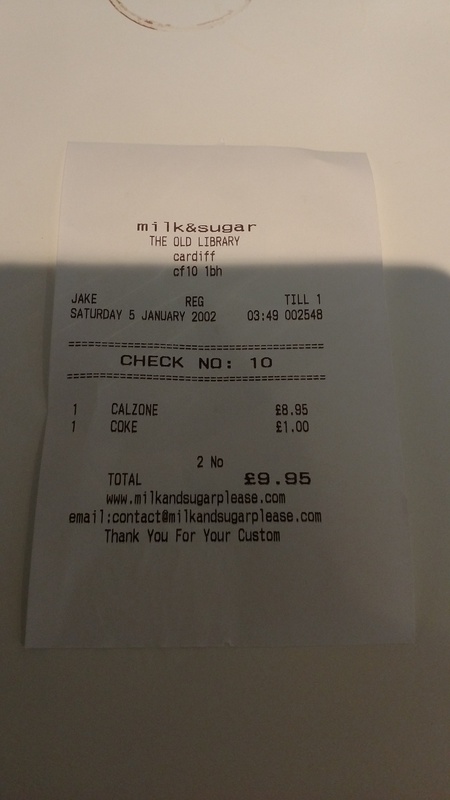 At £8.95 (only found that out when I got the bill) the calzone/oggie may seem to some as being perhaps a touch expensive, especially when compared to the £10 lunch offer at Asador 44 (which involves quite pricey base ingredients like dry aged steak or fish, such as hake). I would say that is more a demonstation of the amazing value of the lunchtime offer at Asador 44 rather than it being overly expensive here. It certainly would be nice if pricing of the Specials was on display. Not providing that info may well put people off ordering them, which would be a shame. Would I go back? Definitely – been twice already. All in all very nice and it was pleasing to see it was busy on both visits. Mr. Corrigan’s magic touch versus the curse of the Old Library. No contest, I hope, as it is a cracking addition to the city centre in my opinion. 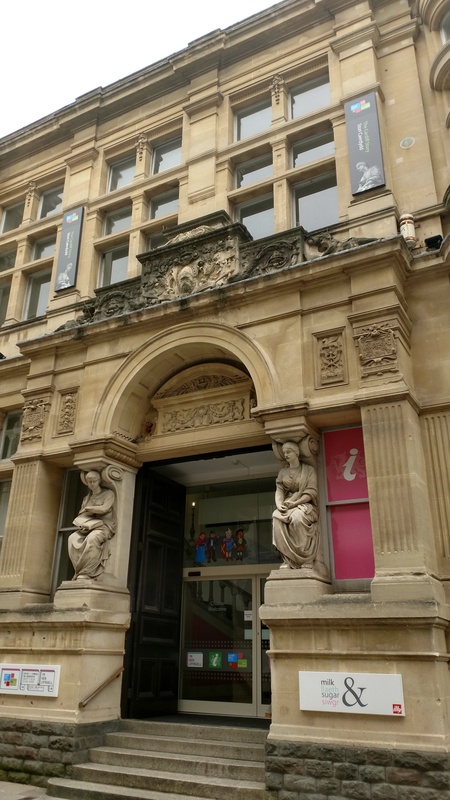 Address: The old Library/Hr Hen Lyfrgell, Cardiff, CF10 1BH. 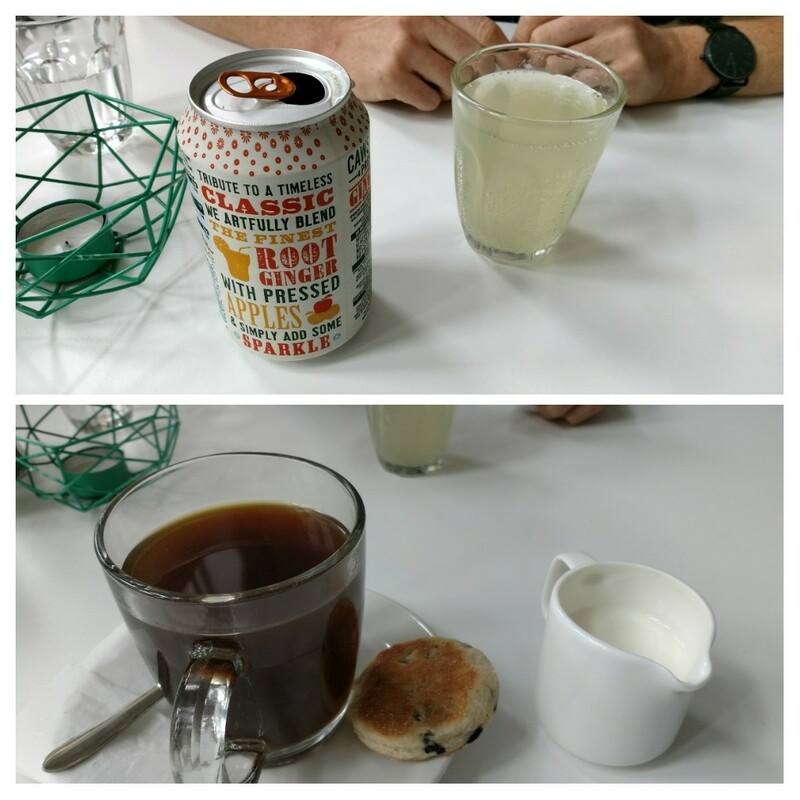 This entry was posted on Jul 23, 2017 by solicitingflavours in Alcoholic drink, Asador 44, Australian wine, Bacon, Beer, bistro, Brunch, cafe, Cardiff, Cardiff restaurant, cheese, Chilean wine, cider, coffee, Diner, Drink, Dry white wine, Food, lamb, Lleath & Swigr, Locke & Remedy, Lunch, lunchtime, Milk & Sugar, New restaurant Cardiff, Non alcoholic drink, Pasta, pastry, pasty, Red Wine, restaurant review, review, salad, Sandwich, Shiraz, Uncategorized.